You may be familiar with WeWork. They run over 300 office spaces around the world and I happen to run my own company out of a great WeWork office in NYC. 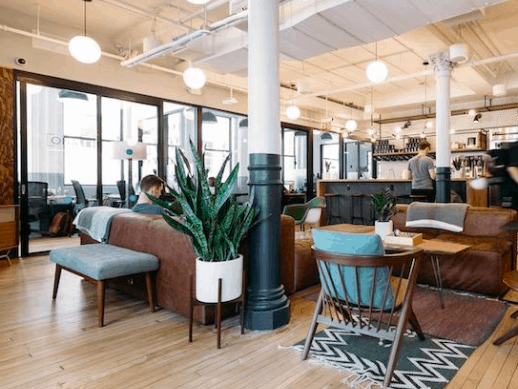 Rates vary based on the size of your office and they offer everything from a “Hot Desk” which is the right to use space in one WeWork location as much as you want but no permanent desk or space, all the way up to huge offices with dozens of desks. I have an actual permanent office, but I did once rent a Hot Desk while traveling and the gist is that you can show up whenever you want between 9 and 6 and grab a desk in the common space. You can take an actual desk or a comfy chair out in the common area, etc. So I completely get the new WeWork offering that comes, as of this week, with the Platinum Business Card from American Express (Learn More). And it’s pretty cool. Cardmembers that apply for or already have a Platinum Business Card from American Express (Learn More) get WeWork Platinum Global Access for a full year. They value it at $2,700. What’s it really worth? Well, when I had a Hot Desk (which gives you access at one location only), I paid $350 a month – or $4,200 a year. This Platinum Global Access allows you into any WeWork globally, though only between 9-6, so I certainly don’t think they are overvaluing the benefit. You can read more about WeWork Platinum Global Access here, though you can’t buy it alone. 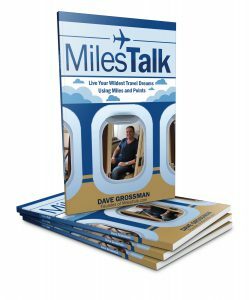 The coolest part is that you can get this for $595, the cost of one year’s annual fee for the Platinum Business Card from American Express (Learn More). Of course, the card gives you lots of other benefits, like $200 in free Dell purchases a year (split into $100 each half of the year) and $200 in annual airline credits as well as Priority Pass and Centurion Lounge access at the airport. Really, if you can use the other credits efficiently and get a nice Welcome Bonus – right now it’s 75,000 Membership Rewards points which I value at 1.75 cents each, or $1,312.50 – the year of WeWork access is really free. Similar to certain premium credit cards, like the Delta Reserve for Business (Learn More) that give you lounge access for less than it costs to simply buy lounge access, you can now get WeWork office space for less than the actual cost – just by getting a credit card! If you already have office space or a WeWork membership, you won’t need this. But if you’ve been thinking about co-working space, I can’t think of a more cost-effective way to check it out.